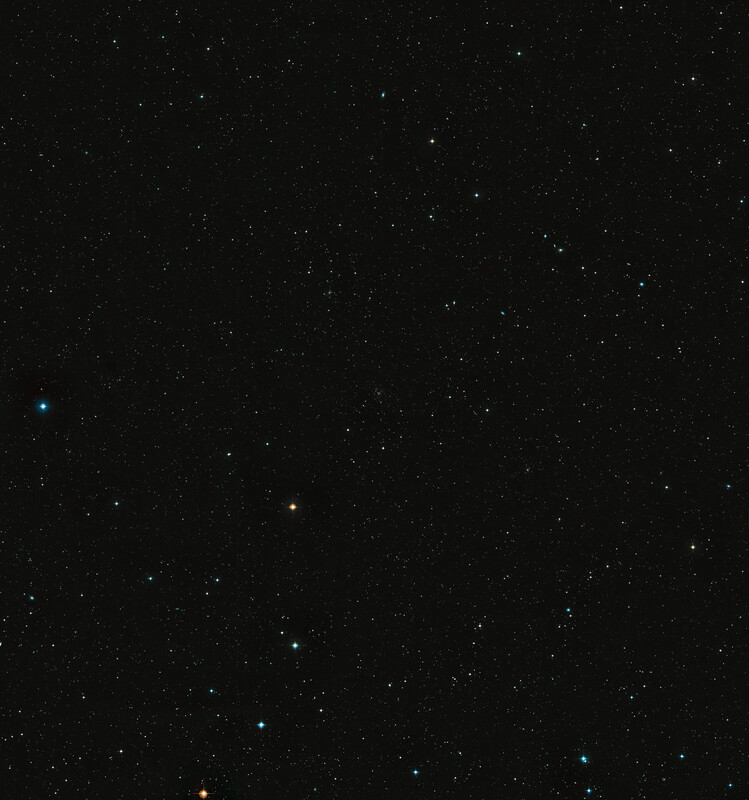 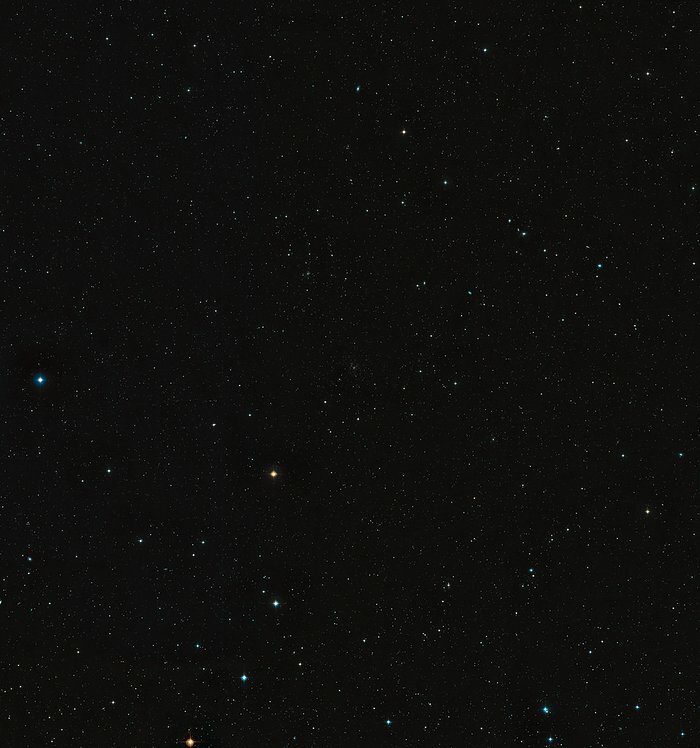 An image of the region of sky around Abell 1689 in the constellation of Virgo, from the Digitized Sky Survey 2. The field-of-view is approximately 2.9 x 2.7 degrees. Position (Dec): -1° 21' 57.37"